Pretty much every aspect of our lives includes a design feature of some sort. Your home, your furniture, your car and everything you own has been developed by a design team. This is a very delicate and responsible part of everything that we use. In some cases the main goal for the designer is to make things functional and easy to use while in other cases form is way more important than function. Check out the following list and you will find a lot of astounding design ideas that will blow your mind! Most people think that design only affects the looks of a certain item or object, but it is much more complicated than that. Designers work with the engineering team and every step both teams take is coordinated. As you can see in the photo above, even a small item can feature an intricate little detail that you don’t see every day. 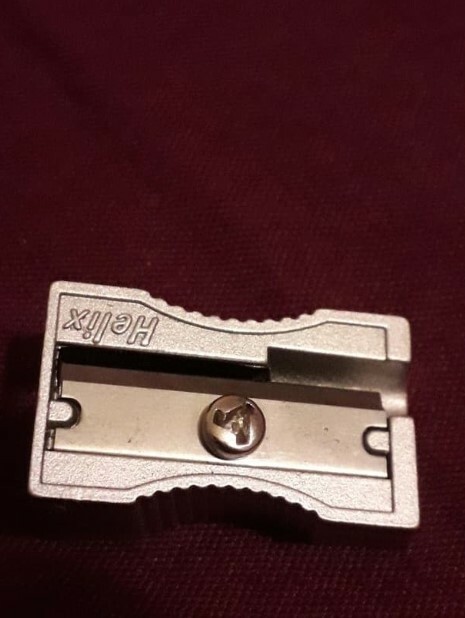 The designer of this pencil sharpener really created something amazing by adding a very special bolt so nobody could unscrew it and hurt themselves on the blade. There are a lot of amazing restaurants around the world, but only a few can offer a truly unique atmosphere. The photo above shows the type of interior that you cannot enjoy anywhere else! 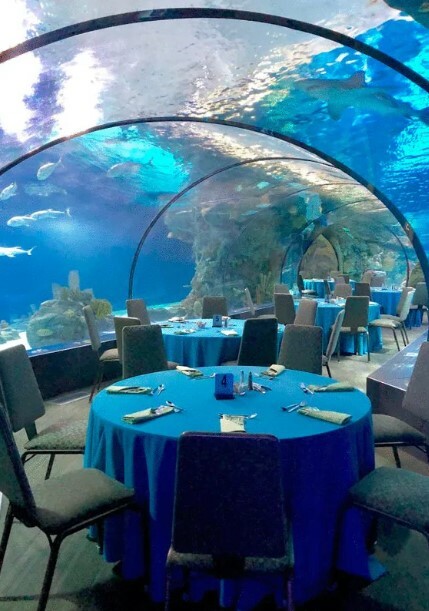 The dinning space is a large hall built on the bottom of an aquarium. It looks stunning and we are sure that having dinner in that place would be a memory everyone would cherish their whole lives! We know we would! Grocery shopping is probably one of the most annoying chores there are. The reasons for this are numerous, and one of them is definitely the damaged shopping carts. It seems that a bug number of any store’s shopping carts are in desperate need of repair! No matter where you go, you can always see broken or wobbly wheels, damaged structures and all kinds of other damage. It seems that one store was able to fix the problem by letting the customers signal for a broken cart by tagging it. In some cases the idea behind the design of a certain item is more than cool! if you are Hot Wheels fan, then you probably know that the pocket-sized cars come in all kinds of shapes and sizes. However, someone decided to add an unexpected twist and created this amazing collectable toy car that serves as a GoPro camera platform! 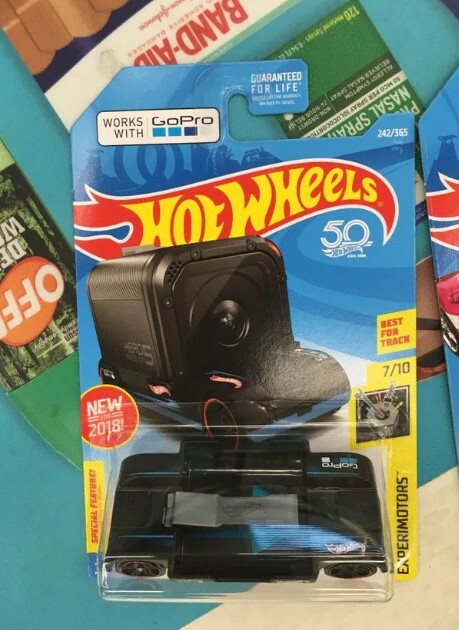 It looks super cool and we need to check the Hot Wheels stand next time we go to the store. We all love desserts and they are probably most people’s favorite part of any meal! However, if you are about to order a dessert that you have never tried before, you need to rely on your imagination. When you read the ingredients, you need to guess what it would taste and even look like! 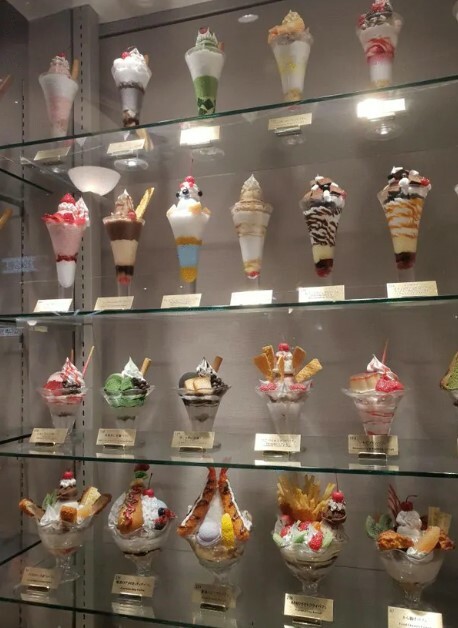 The manager of this restaurant decided to make it easier for everyone and installed a large display showing artificial sundaes, which are exact replicas of those in the menu! This is awesome! It is always strange how one little detail can transform a whole room! This is how interior design works. The tiny accents are the main things that set the mood inside and they shape the whole atmosphere of the premises. 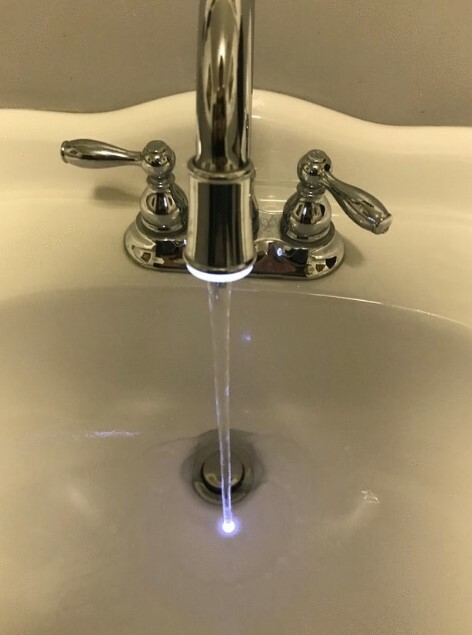 As you can see, adding some LED illumination to this amazing faucet makes the whole bathroom look many times cooler and luxurious than a regular one! We guess that it would be pretty convenient to use, too. It takes just a little effort and some creativity in order to turn the boring office space into a cozy and bright one! As you can see, someone decided to add a nice feature that transformed the whole atmosphere inside. 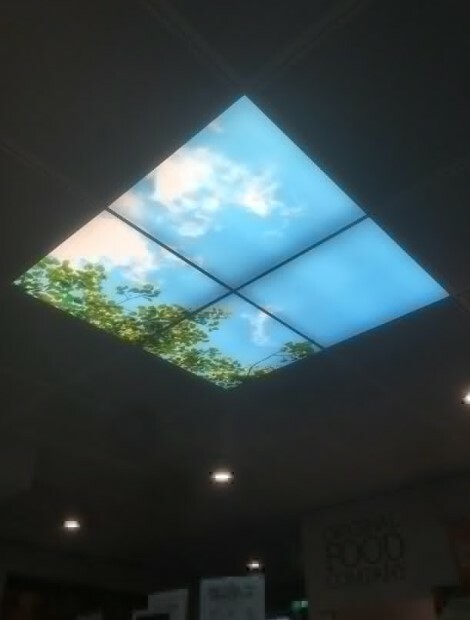 A set of four illuminated ceiling tiles with really cool design were enough to do the job! We guess that the whole ceiling could look like that and it would create the illusion that there is no roof at all. Often the simplest things are best ones! It takes a certain mix of genius, creativity and thoughtfulness in order to come up with something as cool as the cards you see above! The simple design is more than enough to serve the cards’ main purpose! Live is unpredictable and we could never know what comes next. This means that we should hope for the best but we need to also be prepared for the worst! 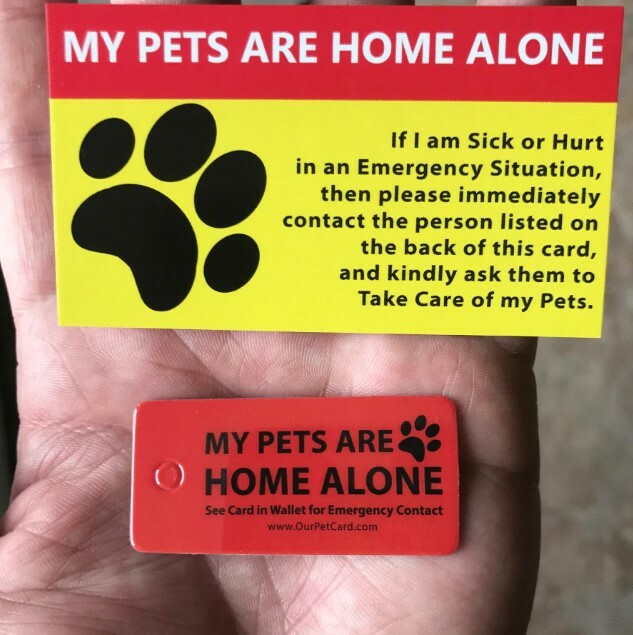 These cards are essential for everyone who has pets at home. In the design world things are never straightforward. You need to solve different problems and plan ahead. 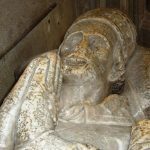 What looks like an easy project can become a burden if you failed to spot a problem that needed solving but you missed it and carried on with the project. 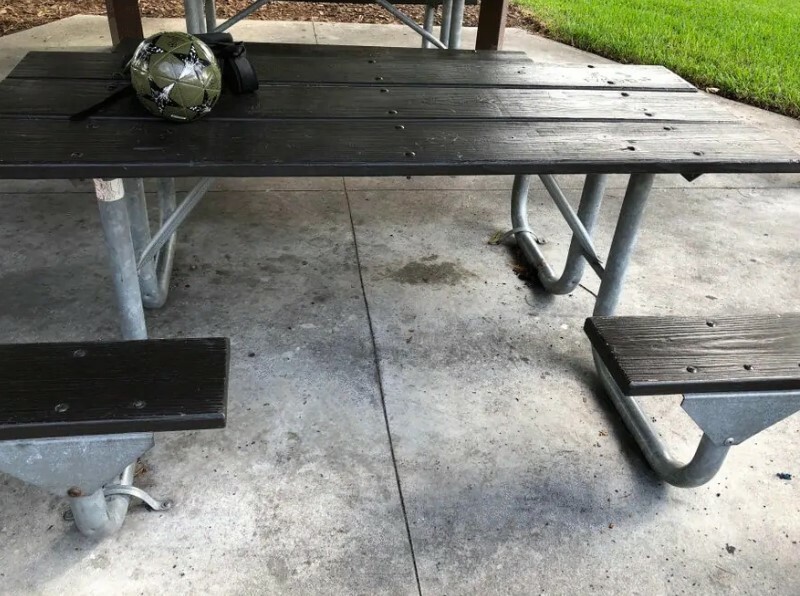 As you can see, the designer of this picnic table was able to foresee every potential problem when people start using the table. This is why the table was designed with an opening wide enough to house a wheelchair! CCTV cameras can be seen anywhere these days. They are installed out of necessity, of course, but there is a problem. In the majority of cases their installation is not done right. Most surveillance cameras are not integrated and they look ridiculous in the middle of a wall or in the upper corner of a room. This is why this store’s management decided to do something about one of their cameras. 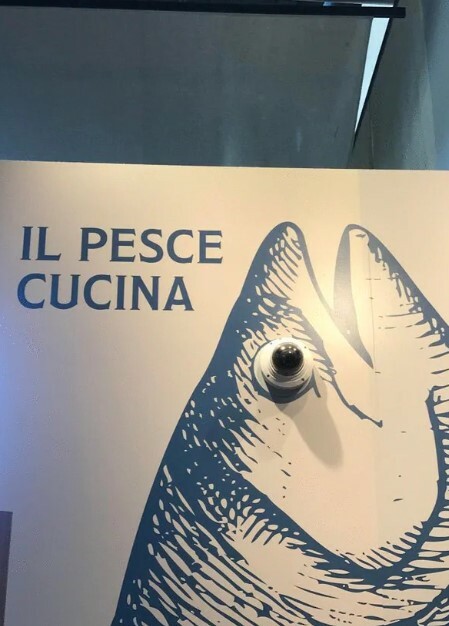 They were able to make it subtle by adding a wall mural of a fish, and the camera became the fish eye! 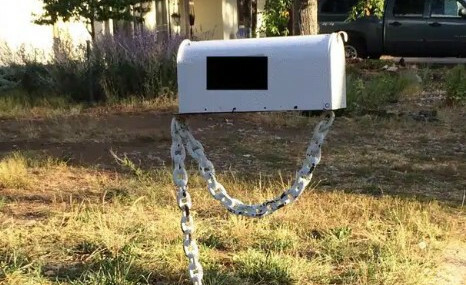 It is a clever and funny way to make the camera less noticeable and we love it. As we already mentioned, design is not all about good looks and stunning forms and patterns. It needs to solve much more important problems, and these two photos prove it. 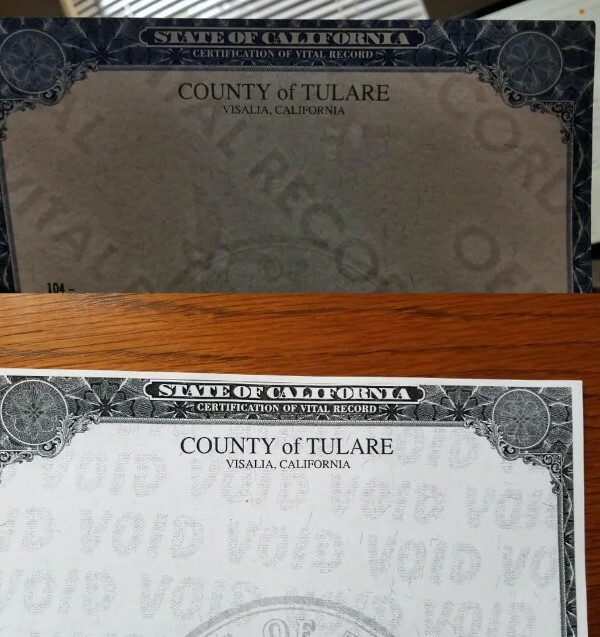 When an official document such as a birth certificate is issued, the paper they use is anything but ordinary. It has special layers in it, as well as watermarks and special ink. As you can see, when you try to make a photocopy of the document, the water mark reads ‘void’. This is some really cool stuff! Traffic signs are pretty much the same no matter where you go. One of the most universal sign that is used everywhere around the world is the ‘stop’ sign. It has the same shape, colors and font in order to be recognizable by everyone regardless of which country they go to. 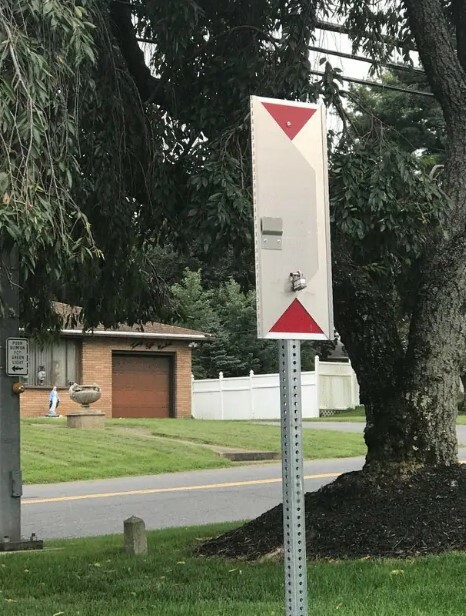 However, it turns out that not all stop signs are the same. As you can see, this one is foldable and even lockable! It is used only when the traffic light s go down. When you buy a certain product, you always expect the best quality, right? Well, it seems that some people offer even a better combination! 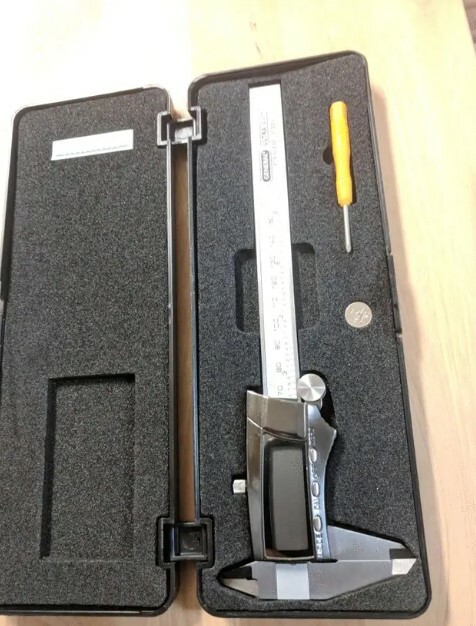 In addition to the functionality and the build quality, the company that produced these digital calipers added an unexpected feature! They made sure that you will continue using the tool even if the batteries go down. They added two spare ones to the kit and they even threw in a small screwdriver which you would need to access the battery tray. How thoughtful, don’t you think? Trolleys are really handy and every store has a small fleet of them. However, sometime there are specific tasks that the trolley needs to respond to. 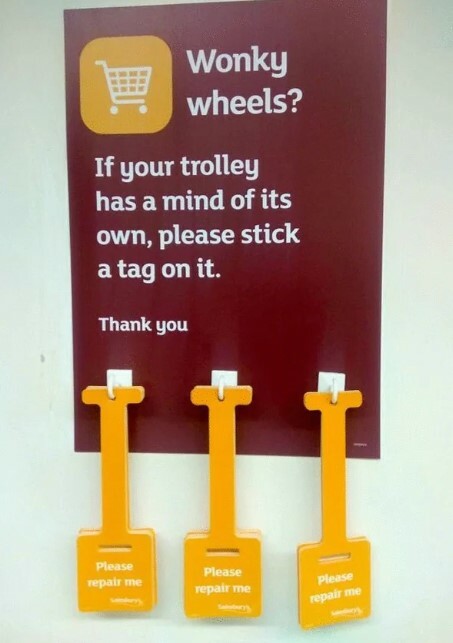 This is why someone came up with the coolest trolley we have ever seen! Instead of just a couple of wheels, this bad boy has a system of pulleys and rubber band chains! 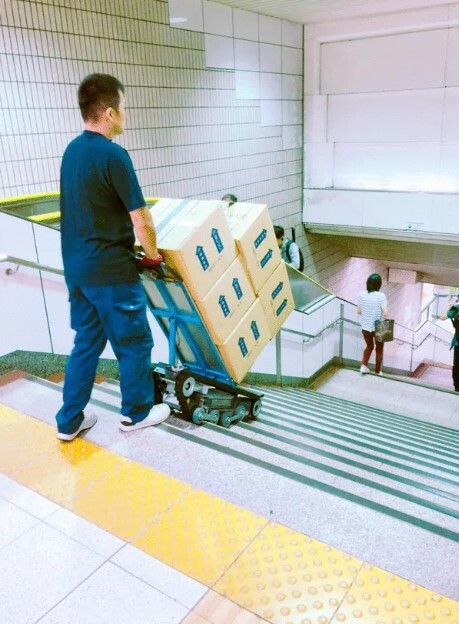 The setup looks exactly like a tank and it allows the trolley to move up and down stairs, which is awesome! 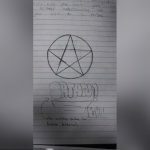 Sometimes teachers find it hard to attract students’ attention. In order to solve that problem, they need to think out of the box. As you can see, this means that you literally have to make a box in order to achieve that! 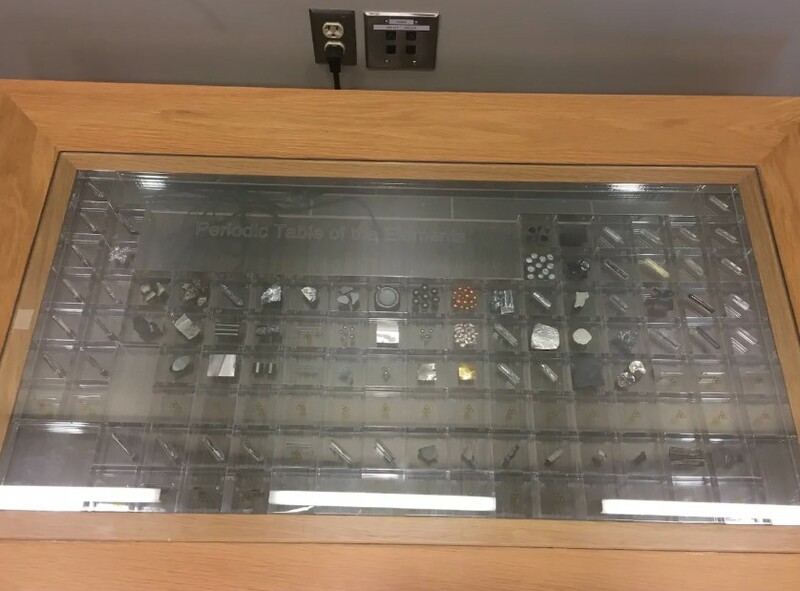 This really informative periodic table actually shows samples of every element that is not radioactive! It is located in a university.